We are a church that believes we are on mission with Jesus to turn broken people into whole people who multiply Christ-followers. We do this by loving God and others, by connecting with each other and serving in the church and in the community. We believe that God is calling Temple Baptist Church to have a greater reach in the Cambridge area. We are called to plant churches, reach new people with the Gospel, and connect more people into life-changing community by recreating our current property. One of our priorities is we want to win the dad, and in turn win the family! Jonathan is our Lead Pastor and he joined us in September of 2012. Jonathan holds a Bachelor of Arts in Pastoral Studies from Moody Bible Institute, a Master of Divinity from Bethel Seminary and a Doctor of Ministry from Liberty University. He is also an adjunct professor at Heritage College and Seminary. Jonathan and his wife, Lori, have four children: Jessie, Josiah, Noah and Luke. They also have a dog named Remy. Jonathan and Lori love packing the kids into the van for long road trips to see God’s creation, and to visit their family scattered throughout North America. Jonathan considers himself a missionary with Christ and His Church. He loves the outdoors, but His overriding passion is to be a multiplier of multipliers for the glory of God! Phil Stairs is our Associate Teaching Pastor at Temple Baptist Church. He began in this ministry in September of 2012. He is a graduate of several schools including Moody Bible Institute and received his Doctor of Ministry from Westminster Theological Seminary. He is married to Lelia, and they have two married children, Jonathan and Stephanie. Dan is the Family Ministries Pastor at Temple Baptist Church. He began his ministry at Temple in February of 2018 and he is the pastor to families with much effort given to growing our men, fathers and grandfathers. Dan graduated from Heritage College & Seminary with a BRE Youth. Dan and his wife Cara have been married for 25 years and they have four children: Alex, Mikyla, Aiden and Jordan. Dan loves to read, enjoys the outdoors and being with family. He especially loves to spend time with family and friends outdoors. He desires to teach and disciple others to grow deeper in their walk with Christ. Jason belongs to his wife of eleven years, Kellie, and their slobbery 8-year-old Golden Retriever, Brinkley. 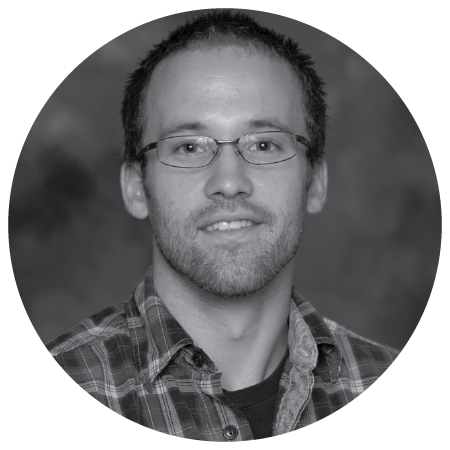 He holds an undergraduate science degree from the University of Guelph and is currently working on the back end of a Master of Divinity from Heritage Seminary. Curious about everything and an avid bushman, his interests range from most sports through music and other arts, from philosophy and the humanities through the hard sciences, economics and politics. He loves Jesus and God’s people, and wants to be found making disciples and faithfully caring for the family of God when Jesus returns. I am looking forward to learning and working alongside the team here as we seek to serve God by serving His people through His Church. As a general pastoral intern, I hope to meet each and every one of you as I seek to learn what it means to serve vocationally in the local church. We are especially excited to attend a church that we can walk to, getting to serve directly in our neighbourhood. This community has been my family's home for almost 8 years and we are excited for the opportunity to use the gifts and talents that God has given us to serve here at Temple. Aaron has been the Associate Discipleship Pastor at Temple Baptist Church. Aaron began his ministry at Temple in June, 2008. Aaron graduated from Word of Life Bible Institute and New Brunswick Bible Institute. He is currently taking courses at Heritage College and Seminary. Aaron and his wife, Nikki, were married on May 1, 2010. They have three little girls, Claire, Rose and Audrey. Aaron and Nikki have recently been called by God to plant a new church in the Southwood area of Cambridge, Restoration Church. Aaron is a big sports fan and he loves the Chicago Blackhawks. His passion is to follow Christ wholeheartedly, and mobilize others to do the same. Ed is the Manager of Operations at Temple Baptist Church. He graduated from McMaster University with his Bachelor of Commerce, and is a CPA CA. Ed started at Temple in April, 2016, and provides administrative support in the areas of Finance, I.T. and Property. Ed is married to Wendy, and they have three adult children, Lindsay (Andrew), Jonathan, and William (Amanda). Ed enjoys weight training, basketball, hiking, reading and family time. He recently retired from an administrative leadership position in the public education system and plans to pursue theological training at Heritage College and Seminary. Linda started working in the Church Office in September, 2010. She graduated from Pensacola Christian College in Florida and taught at Temple Baptist Christian Academy for 10 years before moving into the office. Linda is currently taking the Graduate Certificate Program in Biblical Care and Counseling at Heritage Seminary. She enjoys reading and walking, and her desire is to serve the Lord to the fullest where He has called her. Tara and her family began attending Temple Baptist Church in 2011. She came on staff in May of 2018. She has a passion for the local church and forming connections with the community through various types of creative communication to share the Gospel. 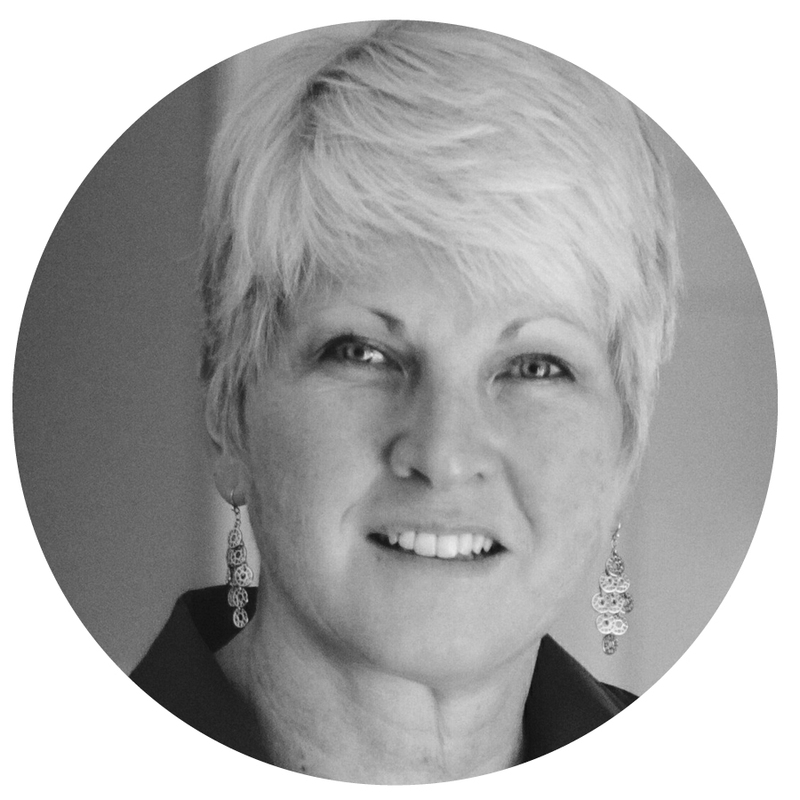 Tara holds an Honours Diploma in Graphic Arts from Mohawk College, a certificate in Interior ReDesign, and is a certified branding expert. Tara is married to Adrian and they have three young adults: Aaron, Zoë and Maya. Tara loves to read and spend time on King Lake with the family. Wendy, and her husband Ed, have been members at Temple Baptist since February 2016. Wendy holds a Bachelor of Arts degree from Spring Arbor University and graduates in April with a Biblical Counselling Certificate from Heritage College and Seminary. Wendy and Ed have three adult children, Lindsay (Andrew), Jonathan, and William (Amanda). Wendy enjoys walking her dogs, reading, baking, family time and road trips with Ed. Psalm 23:1-3a “The Lord is my shepherd, I lack nothing. He makes me lie down in green pastures, He leads me beside quiet waters, He refreshes my soul”. Wife of Ross and mother to 11 grown children. She has been serving at Temple Baptist Church since 1997. She enjoys reading and sewing. Susan has been the Bookkeeper at Temple Baptist Church since August 2015. She and her husband Duane have been attending the church for many years, and became members in 2015. She and Duane have been married for 25 years. She was blessed with the opportunity of being a bonus (step) mom to Duane's children Courtney and Justin and now a grandma to little McKenna. She is so excited to learn about the things of God. Digging for the silver and gold found in His Word is one of her favourite things to do. The most recent treasure she found is the amazing truths about Heaven. She is completely overwhelmed with the fact that He wants a relationship with her and all mankind and that He left His letter (the Bible) with us to introduce Himself to the world. Adrian is married to Tara and they have three young adults: Aaron, Zoë and Maya. They have attended Temple Baptist Church since 2011. Adrian has served as a Deacon for several years, along with serving in many other areas, mainly in the Worship Arts. He leads the choir, has coordinated Christmas presentations, provides leadership to a small group and sings on a worship team. He has also taught Next Chapter classes. Some of Adrian’s spiritual gifts include teaching, encouragement and hospitality. Steve and his wife, Mary have been attending Temple since 1971. Steve has filled numerous roles with the church over the years including Deacon, Sunday School Superintendent, and chair of Global Outreach. Steve and Mary have three children, Elizabeth, Jonathan, and Marilyn. They have blessed Steve and Mary with eight grandchildren. Spending time with the grandchildren is a favourite activity. Ross and his wife Linda have been attending Temple for over 20 years. Ross has served in many areas over those years, including: Deacon, Property, Men's Prayer, Men's Ministries and Seniors’ Ministries. Ross and Linda have 11 children including: Rebecca (deceased), Martha, David (Joanne), Aaron, Daniel, Jesse (Wray), Michael, Edgar, Andrew (Callie), Ruth-Ada and Lena. They have five grandchildren. Ross enjoys the outdoors. David and Frances have been married for 48 years and been attending Temple since 1974. They have two children, Paul and Rachel and seven grandchildren, They have been serving in full time ministry for over forty years with Child Evangelism Fellowship of Ontario. David has served in many capacities at Temple such as: Elder, Deacon, Sunday School, Bus Ministry, Prime Time Plus, and small groups. David and Frances love to volunteer and help others grow in their walk with the Lord. Ron is married to Pat, father of two adult sons and has an identical twin brother. Ron and Pat have been involved at Temple since 1981. Ron has served in various capacities including the bus ministry, Sunday school, choir and serving as a deacon. Ron has been on two missions’ trips through Temple Baptist; Japan in 1993 and Portugal in 2012. Outside the church Ron has been a home inspector, facilitator of Home Inspection classes at Conestoga College, building and renovation contractor, and now is a consultant to Rybo Inc and the Home Flood Protection Program. Interests include listening to Southern Gospel Music and spending time with his grandchildren. Having grown up in Toronto, Ron is also an avid Maple Leaf, Blue Jay and Argonaut fan. Ryan is married to Jillian and they have three daughters. He and his wife are business owners and are known fondly in the community. They love coming along side the young adults in our church and have been known to sport some crazy Christmas sweaters. George is a self-proclaimed “older guy” who became a believer and baptized in 2015. He and his wife Dawn were married in 1967. They have 2 children, 3 grand-children and 2 great grand-children. He believes that we must look after each other and demonstrate that we are Christ followers. Albert enjoys anything outdoors (except mosquitos and deer flies), photography and cooking. He is married to Anita, his wonderful wife, and together they have two beautiful daughters. He loves serving the Lord through his church. Greg is married to Becca, and father of Clark & Addison. Greg & his family started attending Temple in 2014. Greg enjoys spending time with his family and enjoys walking his dog Thor. He loves being a servant for the Lord, helping out where he can around the church. You can usually find him at the front doors of the church welcoming everyone in. We believe the Bible to be the complete Word of God; that the sixty-six books were verbally inspired by the Spirit of God and therefore entirely free from error. The Bible is the sole authority in all matters of faith and life. God has promised to preserve His Word to all generations. We believe in one God, Creator of all, holy, sovereign, eternal, co-existing in three equal Persons; the Father, the Son and the Holy Spirit. We believe in the deity of Jesus Christ, God’s Son, in His eternal existence with the Father in pre-incarnate glory, in His virgin birth, sinless life as a man, substitutionary death, bodily resurrection, triumphant ascension, mediatorial ministry and personal return. We believe in the deity and personality of the Holy Spirit, who glorifies Christ by convicting of sin, of righteousness and of judgment; who regenerates, sanctifies, illuminates; and who comforts those who believe in Jesus Christ. We believe that Satan (Devil) is a created angel who is fallen, defeated, an evil personality, the originator of sin, and the arch-enemy of God and humans. We believe that God created human beings in His own image - male and female. They sinned, becoming guilty before God, resulting in total depravity, thereby incurring physical and spiritual death in Hell. We believe that salvation is by the sovereign, electing grace of God. By the appointment of the Father, Christ voluntarily suffered a substitutionary, atoning death that satisfies God’s judgment. Salvation is by faith alone in the Lord Jesus Christ, and in His all-sufficient sacrifice and resurrection. Those whom God has called are kept eternally secure by the power of God and shall be divinely preserved and glorified in the image of the Lord. We also believe that salvation is a free gift of God for “whosoever will” believes in Jesus Christ. We believe in the personal, bodily and glorious return of the Lord Jesus Christ; in the bodily resurrection of the just and unjust; in the eternal blessedness in Heaven of the redeemed and in the judgment and conscious, eternal punishment of the wicked in Hell. We believe that a church is a Body of water-immersed believers, called out from the world, separated unto the Lord Jesus Christ, voluntarily associated for the ministry of the Word of God, the mutual edification of its Members, the propagation of the faith and the observance of the ordinances. We believe it is a self-governing, independent body, exercising its divinely bestowed gifts, under the Lordship of Christ, the Head of the Church. We believe the Church has two offices: 1) Pastor, Bishop or Elder; and 2) Deacon. We believe that there are only two ordinances for the church regularly observed in the New Testament: 1) Baptism, which is the immersion of the believer in water, whereby obeying Christ's command identifying with Christ’s death, burial and resurrection. 2) The Lord's Supper, which is the memorial wherein the church of believers together partakes of the two elements, the bread and the cup, which symbolize the Lord's Body and shed blood, proclaiming His death until He comes. We believe the Scriptures define marriage as the union of one man and one woman to the exclusion of all others, and that sexual intimacy was designed and given by God, to be legitimately enjoyed only within the bounds of marriage. We believe further that Christians should neither marry unbelievers, nor enter into any other spiritually detrimental alliances with them. Following the interpretive approach of both Jesus Christ (Matt. 19 and Mark 10, on divorce) and the apostle Paul (1 Cor. 11 and 1 Tim 2, on male-female order), we hold as truth that the creation narrative in Genesis 1-2 reveals both facts about creation and paradigms for human life. The pattern established by God indicates that the appropriate counterpart for a man is a woman (and vice versa), not multiple women or another man (and vice versa), and this pattern is confirmed by Scripture as a whole. We believe that civil government is of divine appointment for the interest and good order of society. Those in authority are to be prayed for, and conscientiously honoured and obeyed, except only in the things opposed to the will of our Lord Jesus Christ, and His Word.